In a sign that falling mortgage rates may provide a much-needed boost to a previously slowing housing market, both new and existing homes sales jumped in February, according to two reports. Total existing-home sales completed transactions that include single-family homes, townhomes, condominiums and co-ops, shot up 11.8 percent from January to a seasonally adjusted annual rate of 5.51 million in February. However, sales are down 1.8 percent from a year ago (5.61 million in February 2018). The median existing-home price for all housing types in February was $249,500, up 3.6 percent from February 2018 ($240,800). February’s price increase marks the 84th straight month of year-over-year gains. Meanwhile, the Commerce Department said sales of new U.S. single-family homes increased to an 11-month high in February and sales for January were revised higher, suggesting that lower mortgage rates were starting to lift the struggling housing market. 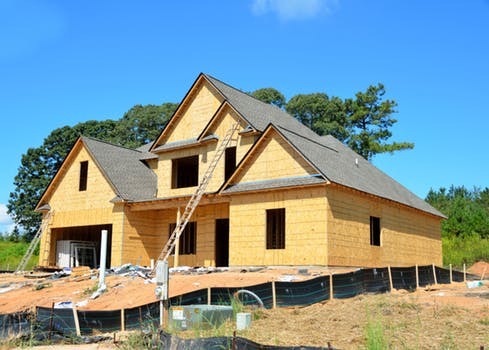 The Commerce Department said new home sales rose 4.9 percent to a seasonally adjusted annual rate of 667,000 units last month, the highest level since March 2018. January’s sales pace was revised up to 636,000 units from the previously reported 607,000 units. The median new house price fell 3.6 percent to $315,300 in February from a year ago. There were 340,000 new homes on the market last month, down 0.6 percent from January. At February’s sales pace it would take 6.1 months to clear the supply of houses on the market, down from 6.5 months in January. Just under two-thirds of the houses sold last month were either under construction or yet to be built.